It’s a long way from south Mississippi, where she was born, to Glastonbury, in southwestern England. But Lisa Mills has played Glastonbury and many more European festivals enough to feel comfortable on both sides of the Atlantic. In fact, the artistic connections she formed as she gained international fans are counted as her musical next-of-kin; they just happen to be in the UK, while she now makes her home on Mobile Bay in Alabama. Recording her latest album, Tempered in Fire, at Rimshot Studios in Kent, UK, was a celebration of creative connections reaching near and afar. She chose songs by writers from her native South as well as Britain to complement her own songs and teamed with old and new musician friends from England and the U.S. Joining her in the vintage analog studio’and laying down several of the songs as a live band’were her long-time performing partner, Ian Jennings, as co-producer and double bassist; Andy Fairweather Low on guitar, and Eric Heigle of New Orleans on drums. 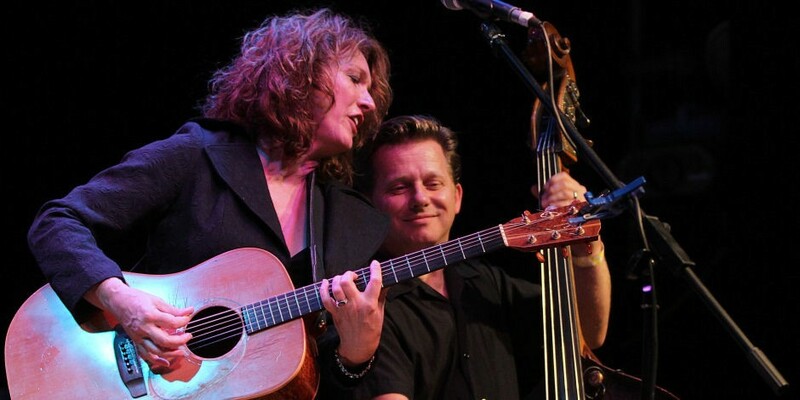 She and Jennings (Big Town Playboys, Jeff Beck, Van Morrison) have toured the UK for almost a decade, and she sings on three tracks of his current studio album, Roll the Dice. It was through Jennings that she met Low (Amen Corner, Eric Clapton, George Harrison) and many others with whom she’s shared the stage or studio, including Robert Plant (who said of Lisa: ‘You should check her out; she has a wonderful voice.’), Jools Holland, and Jeff Beck, who also are guests on Jennings’ album. Add ‘songwriter’ to Wellborn’s descriptions of Lisa Mills (she wrote all 13 songs on By Invitation Only), and you’ve got Lisa. Look for her upcoming tour dates in both the UK and U.S. with Ian Jennings, making connections with gifted musicians who share her Southern roots.